Our range of floor standing vending machines and hot drinks dispensers will vend a wider variety of drinks including Kenco and Maxwell House coffee, PG Tips tea, Suchards chocolate, Knorr soups as well as a range of cold drinks. There are hot drink vending machines and cold drink vending machines that can offer instant coffee to machines that will offer a freshly ground coffee, cappuccino or latte. Whatever your tastes you should find something to suit you. Our floor standing vending machines are stylish in look and easy to operate. • The Style 5 combines the very latest technology with the well proven and accepted ‘traditional’ semi-automatic machine format. • Well earned reputation for reliability. • Very easy to use and maintain. • Capacity of up to 500 incup drinks and 5 selections. • Can accept a full change giving coin mechanism. 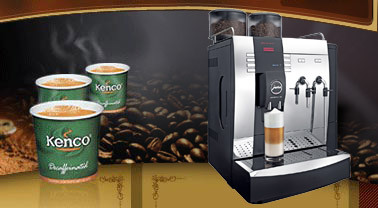 • Enormous capacity of up to 1280 incup drinks and up to 15 selections. • Fully automatic machine available with a full change giving coin mechanism. • Chilled drinks available as an option. • Despite having a very large capacity the Refresh 1400 occupies only 0.4 square metres of floor space. • High capacity internal sugar dispenser. • The K Bar is a fully automatic floor standing vending machine with 16 different hot or hot and chilled drink options and an internal sugar dispenser. • There is a full range of payment options available (eg. free vend, coins, token and cashless). • Extremely simple and easy to operate. • Can vend a wide range of high quality incup drinks. • Automatic self clean facility. • This new Bean to Cup and incup floor standing vending machine offers the pleasure and indulgence of luxury coffee shop drinks with the clean, simple delivery of vending. 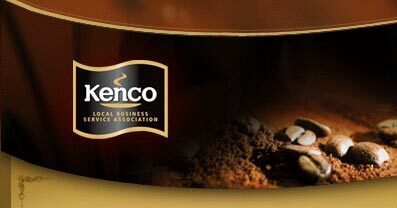 • The K Bar Bean to Cup offers the full Kenco incup drinks as well as larger cups of Cappuccino, Mocha, Latte, Café au Lait and Americano, all made from freshly ground whole beans. • Automatic self cleaning facility. • Full range of payment options. • 16 different hot or hot and chilled drink options and an internal sugar dispenser.